Stronghold Kingdoms aims to change up the classic MMORTS formula by focusing on wars between medieval castles all across ancient Europe. With plenty of depth and strategy to explore it’s a good option for fans of the franchise and newcomers. In Stronghold Kingdoms you’ll have multiple elements to master from economic to military and even political. All of these systems are really in depth and unpredictable due to the MMO style of the game that constantly has you adapting to the persistent game world with thousands of other players. You’ll also have to pay close attention to your kingdom layouts as they can have a large impact on your resource generation if arranged for maximum productivity. Ally yourself with one of the powerful factions to take over the game world or go at it alone and raid the larger communities for resources. You can even focus on computer controlled enemies and towns if you aren’t a fan of making enemies in the PvP environment. No matter which way you want to approach the game you’ll find room for your strategy. 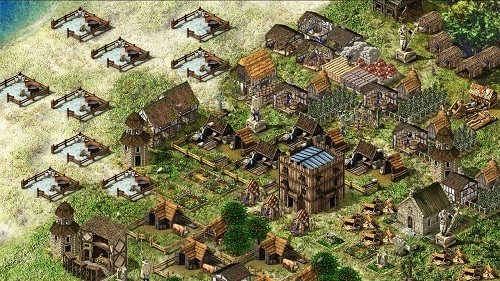 Starting with one village players will be able to expand into a kingdom of their own by taking them from your enemies. Taking over other castles can be done with brute force (and lots of men) or you can take the conversion path instead by using your monks. To help you achieve your desired strategy you’ll find plenty of technology paths that help you define your civilisation. The technology tree of Stronghold Kingdoms is one of the largest in a MMORTS yet which does ensure that every player ends up with a unique setup. Stronghold Kingdoms is definitely one of the MMORTS games that you can get more gameplay out of than most, it’s slightly slow out the gate but once it gets going it’s an experience that always has a new adventure waiting. A MMO based on the Stronghold universe. Plenty of depth in all game elements. 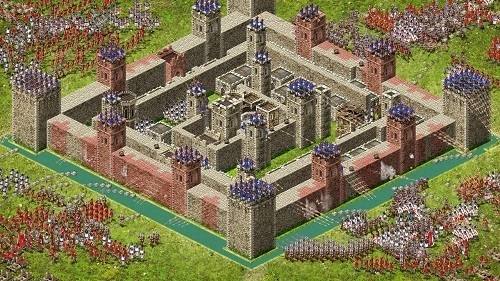 Create the ultimate stronghold to keep other players out. Battle it out with countless medieval units. Plenty of PvE and PvP content.